Despite having been around for a very long time, photography seems to be constantly evolving. 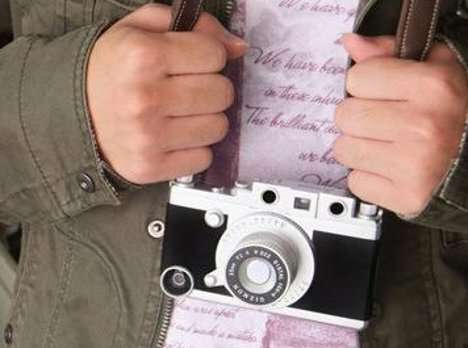 Along with digital photography came a whole new generation of incredibly inventive gadgets and concepts, all designed to help us capture the memorable moments in life. Whether your interest is sharing those memories or just hanging onto them forever to look at once in a while, these 10 brilliant cameras are all perfect for capturing memorable moments. Candid shots can be a mixed bag. Some are adorable and fun, but some are so unflattering as to be truly horrifying. 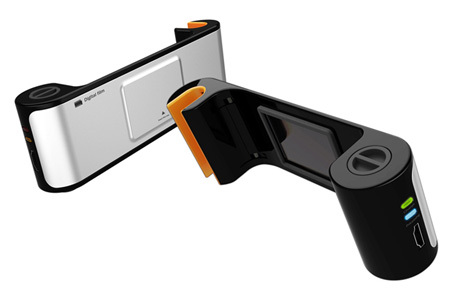 This concept camera designed by Xi Zhu would put final editing power in the hands of the people in the snapshots. There are two pieces to the camera: a lens which stays with the photographer and a preview screen that is handed off to those being photographed. As soon as a picture is taken it pops up on the screen and the subjects in the photo have to choose between deleting or saving it. Terrible pictures never see the light of day, and no one is embarrassed by the shots from last night’s party. 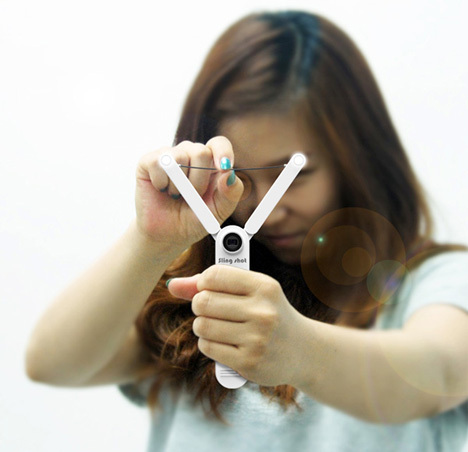 Would you be likely to smile or grimace if you saw a slingshot being aimed at your face? That surprised look is just what the designer behind the Sling Shot Camera was looking for. 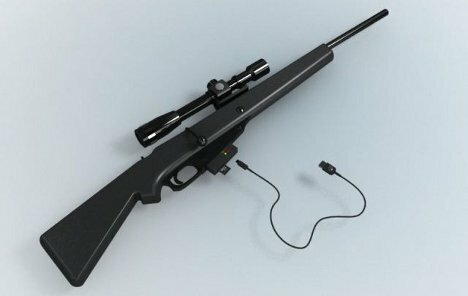 The silly camera looks a lot like the weapon/toy, but instead of loading it up with a rock and causing trouble you twing the string to activate the shutter. That tiny lens takes a picture of your friends ducking, running for cover or simply looking amazed that you would aim a toy weapon at their faces. Taking panoramic pictures is not an easy task unless you have specialized equipment. And a full spherical panorama? That’s like the elusive white whale of photography. The Throwable Panoramic Ball Camera could put an end to the difficult nature of panoramas and let everyone join the fun. 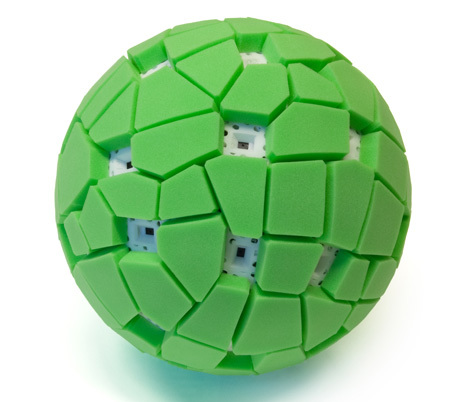 The camera is shaped like a ball and contains 36 cameras all around its surface. To capture a stunning panorama, you just throw the ball into the air. Special software stitches all of the images together to create one truly stunning photo. Film cameras have a certain charm, but digital is so much more convenient. This concept, appropriately named Digital Film, would let photographers use old film cameras as digital ones. The device fits onto the back of the camera, just where the film and hinged cover would go. 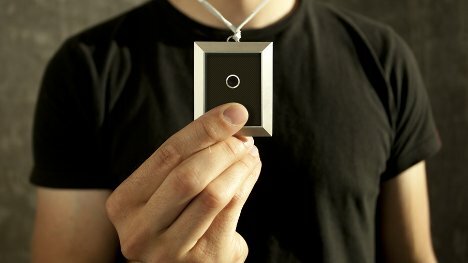 It acts as a USB storage device for the pictures until the photographer is ready to unload the photos. 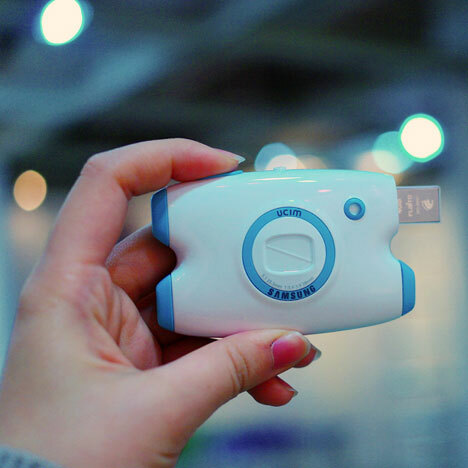 Although it is just a concept, the brilliant little gadget would no doubt find a home with plenty of shutterbugs who dig the old way of taking pictures. Maybe the most creative camera is the one that isn’t there at all. 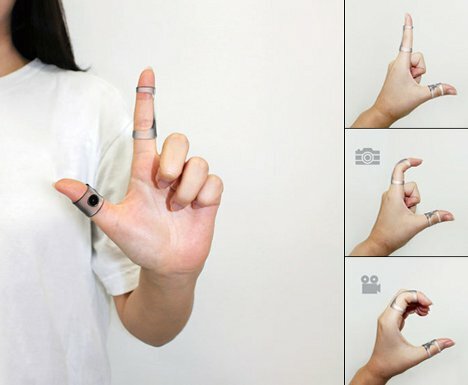 Air Clicker is a concept camera which uses gestures and tiny finger-mounted devices to take pictures or videos. 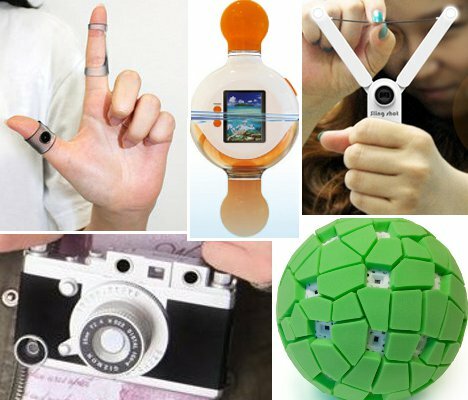 Making an “L” shape with the fingers and then twitching the forefinger as if clicking a shutter button activates the unusual camera. The pictures are transmitted via Bluetooth to a synced mobile phone, making for a seamless way to photograph memorable moments without always holding a camera or a phone in front of your face. Vacation photos are always fun, but beach shots seem to be the ones we go back to again and again – especially when the weather turns nasty and we need a sunny reminder of warm days. 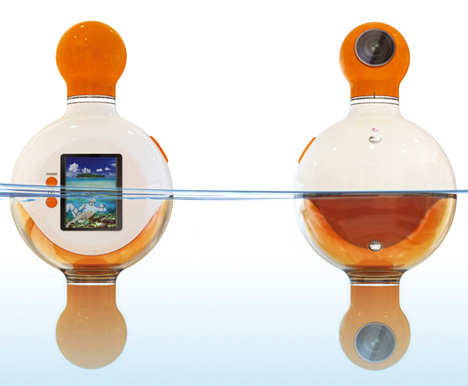 The UnderAbove concept camera takes photos underwater and above water at the same moment, giving a dual glimpse of your fun beach time. Looking like a fishing bobber, the UnderAbove floats with one camera on the bottom and one on the top. A manual shutter button takes pictures on command, or a timer lets you take group shots with everyone in them. The concept even includes a waterproof screen for instant review of your pics. Since digital cameras eliminated the processing cost of photos, plenty of people seem to have cameras or phone permanently attached to their faces, snapping away. The Meme camera takes the idea of nonstop documentation to its natural next step with a small, constantly-shooting camera worn around the neck. It has an autocapture mode to constantly take pictures documenting everything you do. A syncronized smartphone receives all of the photos which can later be edited and shared. We all have at least one of those friends or relatives who, after taking tons of pictures at a gathering, promises to email copies of the photos to everyone…and then never does. The smart little UCIM Camera would let three people share the very same snapshots with no keeping of promises required. The camera holds three USB sticks; whenever a photo is taken it is recorded on all three memory devices. One for you and one for two other people – it’s the perfect way to share! Although it is hard to imagine a scenario in which anyone would want to stalk photography subjects with a gun-shaped camera instead of a regular one, the inventors of the Kill Shot believe that hunters could be its big market. The camera was invented when two brothers spotted a handsome deer after the end of hunting season. Not wanting to break the law, they put an iPhone up to their gun’s scope to zoom in on the magnificent creature and snap a picture of it. From there the idea grew into a Kickstarter project. Would all of the hipsters in the house please raise your hands? iPhone photography has been elevated to the heights of an entirely new art form, primarily thanks to apps like Instagram that make even off-the-cuff photos look good. 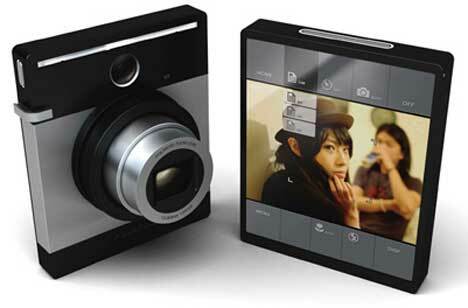 But people who miss the tactile sensation of pushing a button to take photos might love the Gizmon iCa. It is more or less an iPhone case that makes your phone look and function like a cool vintage camera. And unlike the other fine ideas listed here, this one is actually available to buy.